A fundamental shift is underway in how food, flavor, cosmetic, and fragrance ingredients are being produced for global markets. The new game in town is synthetic biology, or GMOs 2.0—companies are now able to create yeasts that secrete artificial compounds that taste or smell like familiar substances but don’t actually come from the natural source. Many products on the market already contain synthetic biology ingredients—check out this shopper’s guide on synthetic biology to learn more about how to avoid syn bio in your food and cosmetics. Syn bio is bad for consumers, and it is also bad for the farmers, growers, pickers and harvesters who provide the natural products in our food, cosmetics, soaps, and more. Companies use the excuse of sustainability and local food security to justify the transition from field production to vat production—but many of these natural products grow in difficult environments that are not suited to food crops, and are very high-value for farmers. Sourcing raw fragrance and flavor materials from a vat instead of from millions of diverse farmers only offers companies simpler supply chains and increases corporate control over the product process. 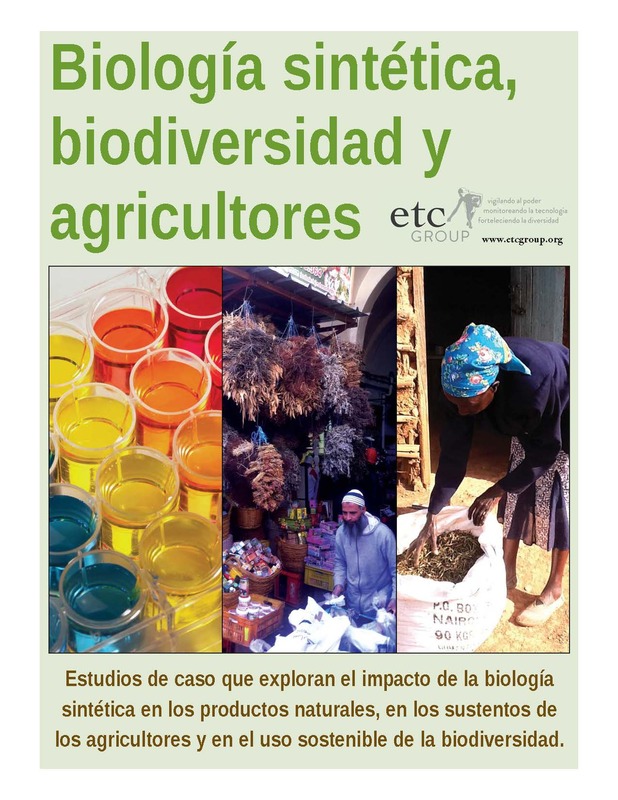 In these case studies, ETC Group outlines how 13 specific products are being bio-synthetically created and how traditional livelihoods may be adversely affected as these syn bio substitutes enter the market. You can also explore how syn bio replacements might affect specific countries in the new Natural Products Map at synbiowatch.org. This map is for civil society organizations, researchers, and policymakers that want to understand how syn bio flavors and fragrances might affect their work at the country level.